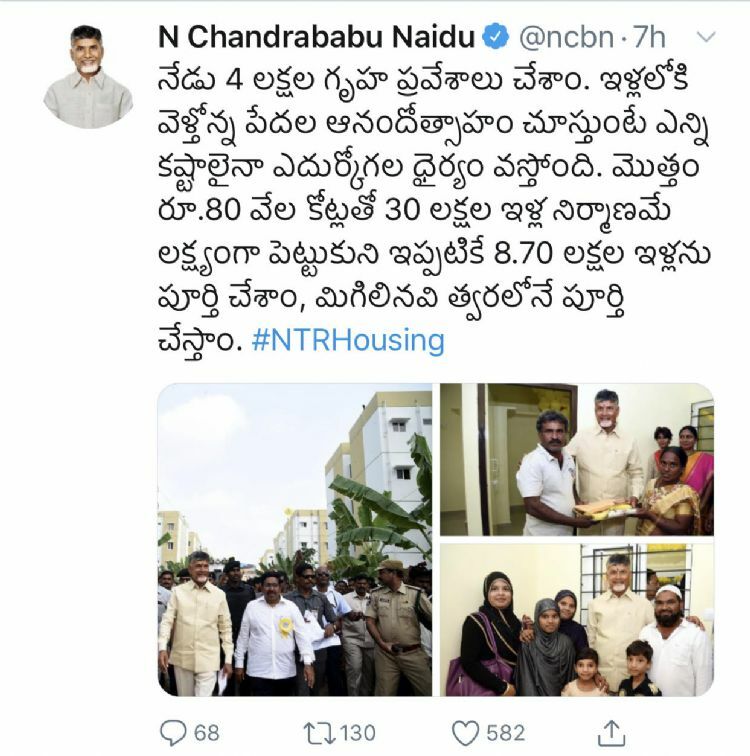 Vijayawada, February 9th: We made 4 Lakh Housewarming Ceremonies in the state today, proudly announced Chief Minister of Andhra Pradesh Chandra Babu Naidu on Saturday. 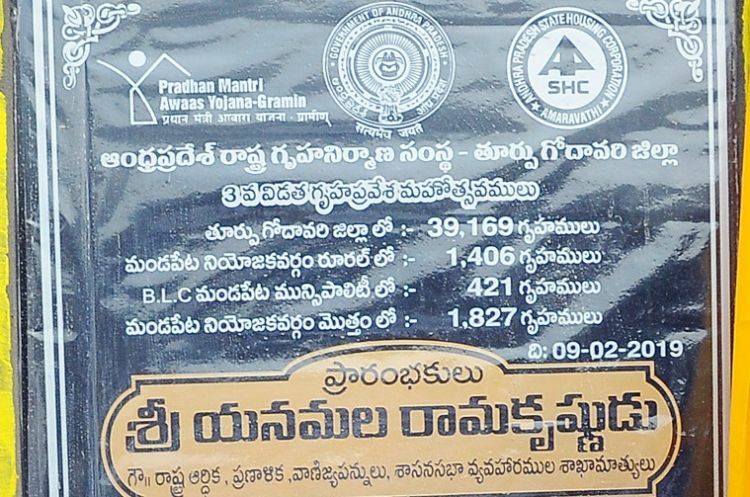 Under NTR Housing scheme our target is to build 30 lakh homes and we built 8.7 lakh homes so far. We will complete the remaining soon, said Chief Minister. 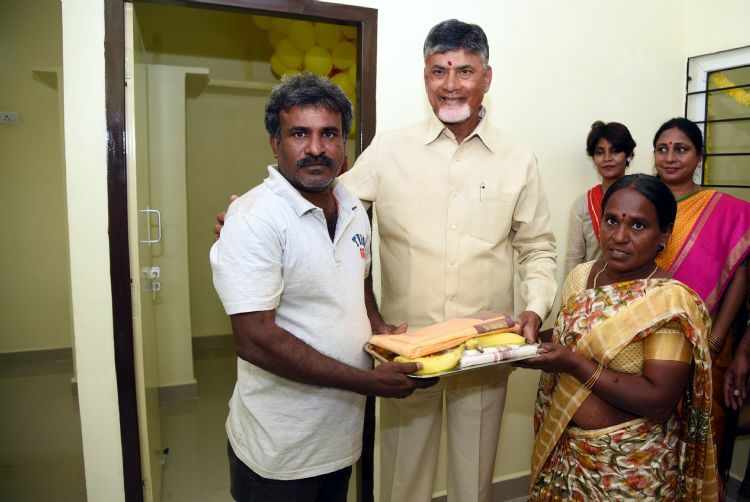 Looking at the happiness of the people and the beneficiaries, I am getting enormous confidence to face any challenges, said Babu in a Twitter post. Reports with pictures and videos were flooding from various places across the state about the house warming ceremonies and house distribution.